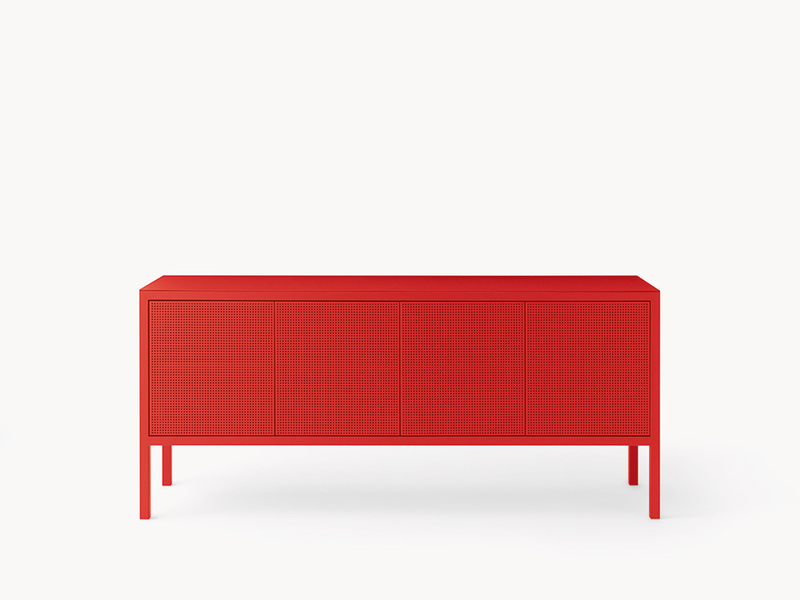 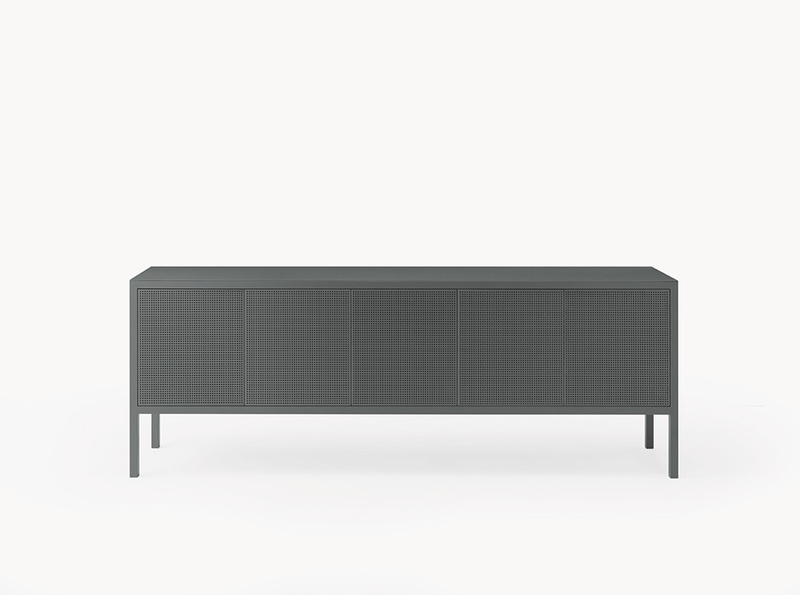 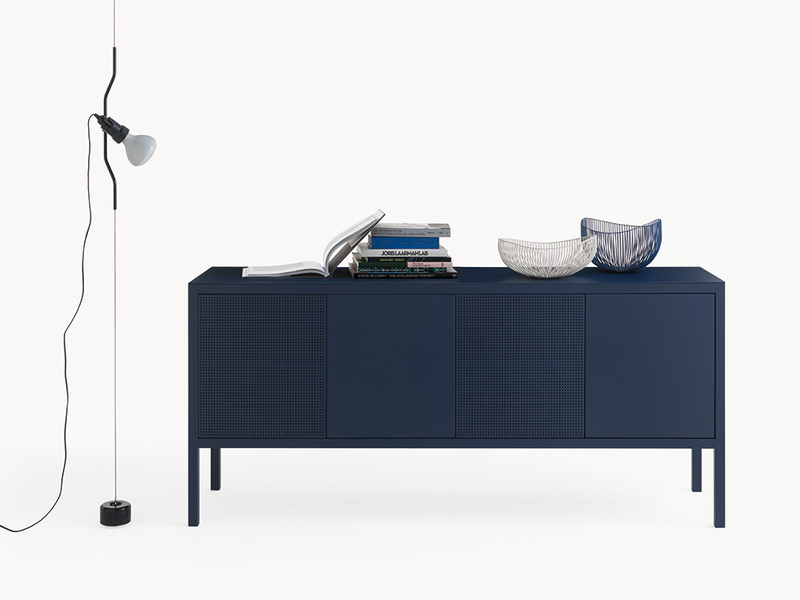 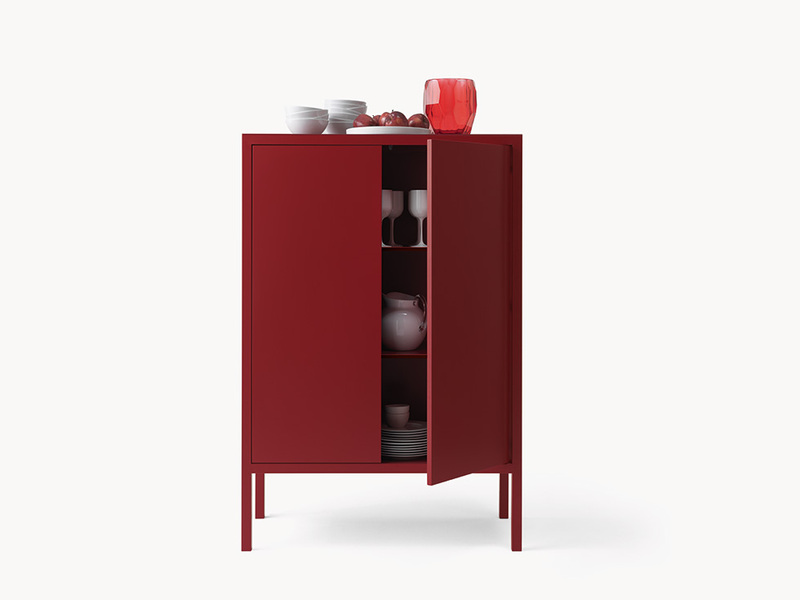 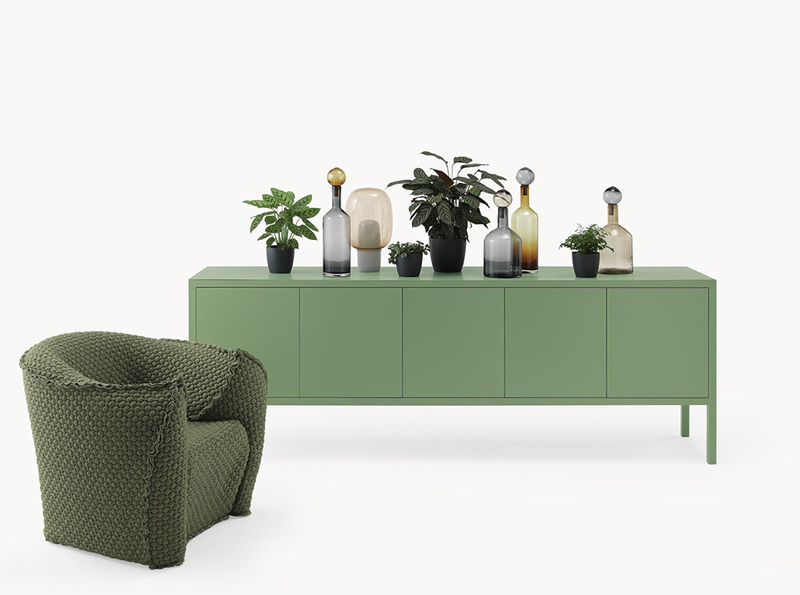 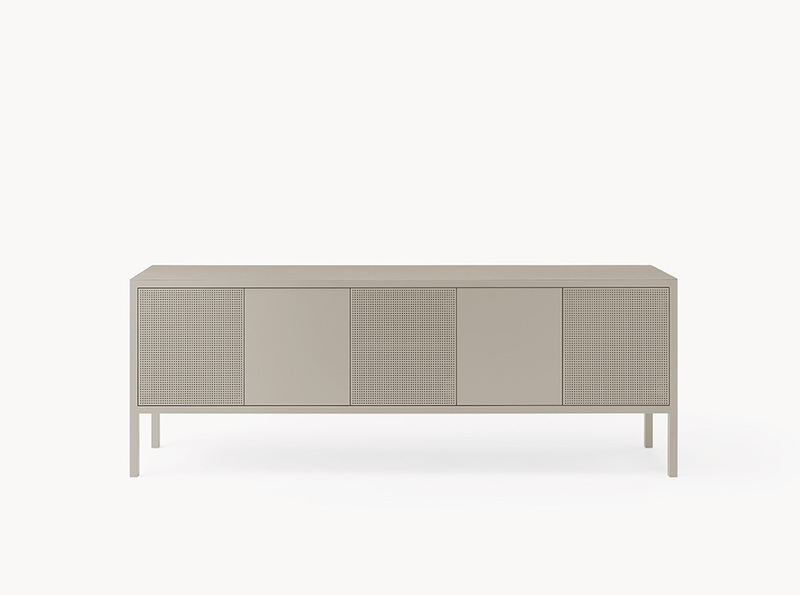 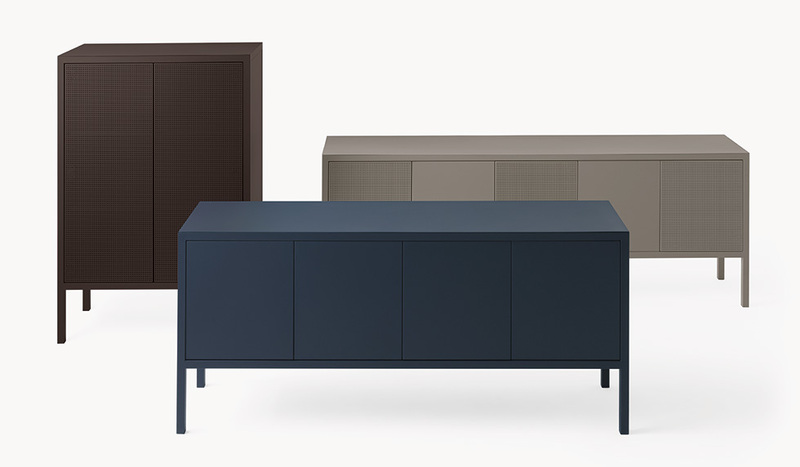 The Frame collection of sideboards and cupboards features a minimal design, with square tube frames that are always visible. 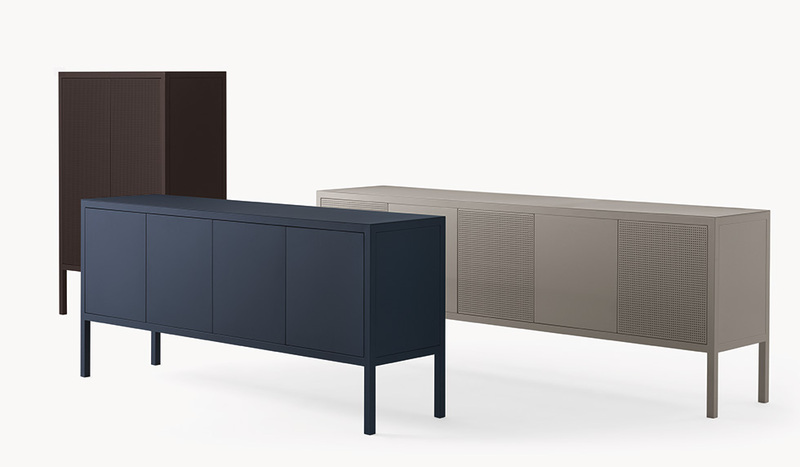 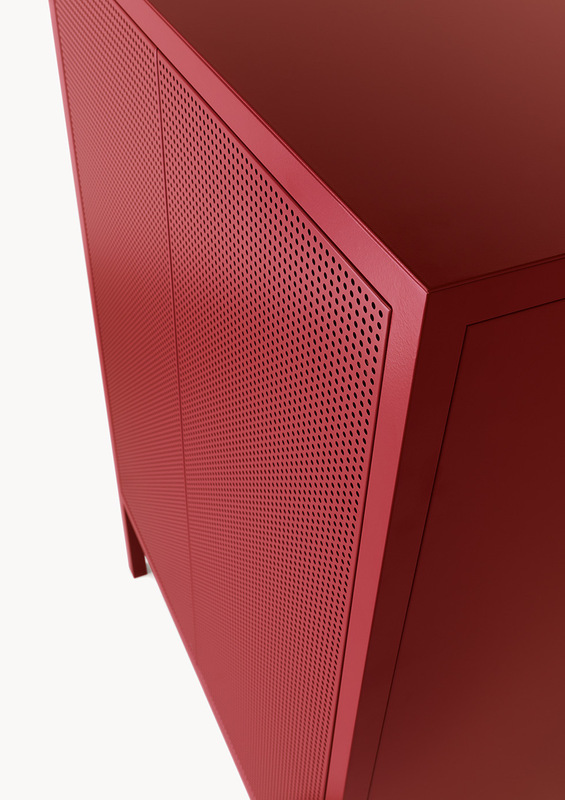 The slender top is just a few millimetres thick and it is made of metal, as are the two different types of doors: solid and perforated. 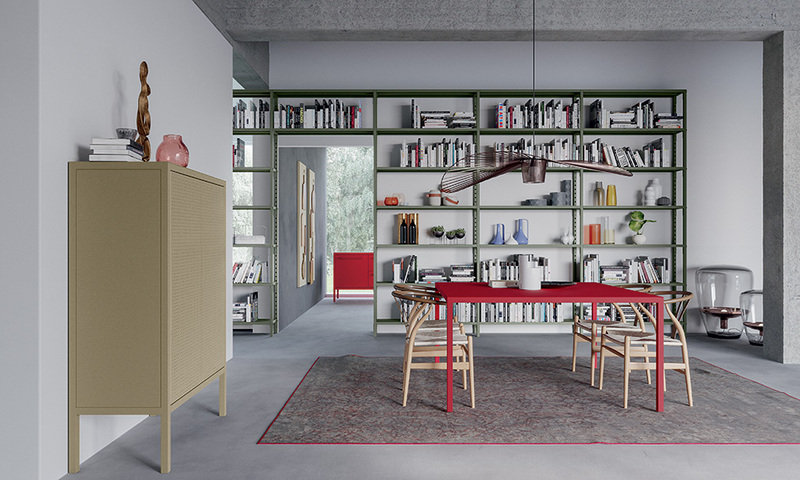 They provide the scope for a range of modular solutions and the variety of compositions – together with the breathtaking selection of 40 Fantin finishes – means that the collection is ideally suited to all settings. 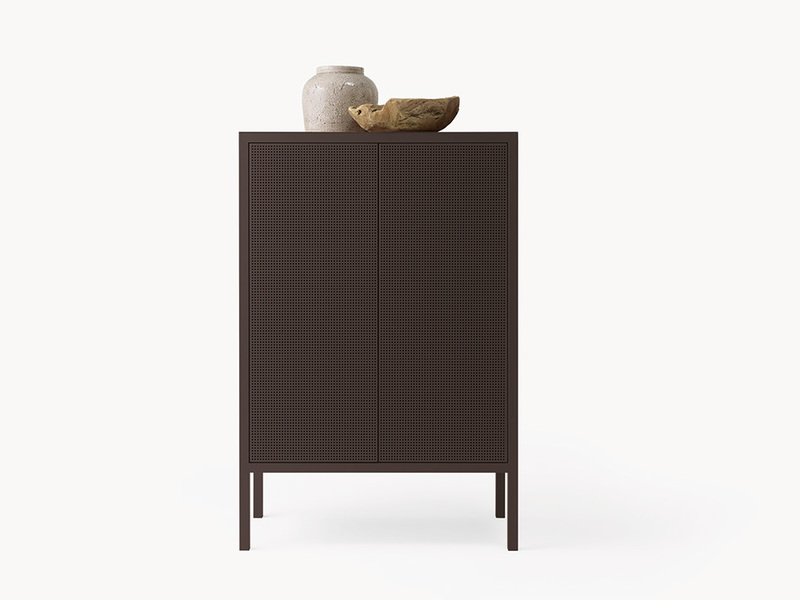 materials metal finishes all Fantin finishes widths of the cupboards cm 147-194-240 / 57.9"-76.4"-94.6" depth of the cupboards cm 48 / 18.9" height of the cupboards cm 87 / 34.3" width of the sideboards cm 100 / 39.4" depth of the sideboards cm 48 / 18.9" height of the sideboards cm 150 / 59.1"